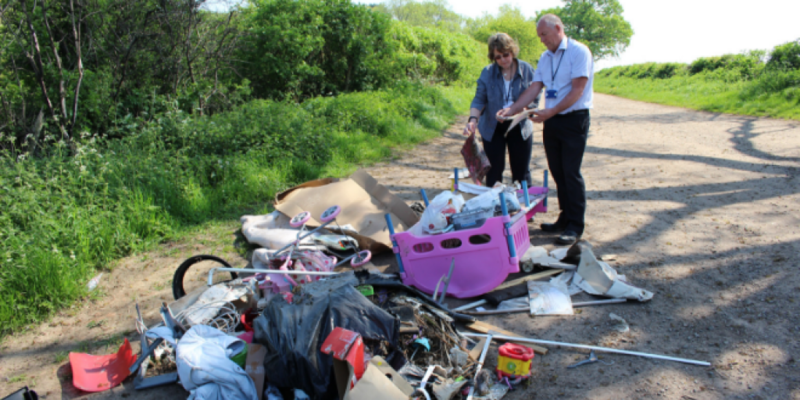 Fixed penalty notices have been introduced to take action against people who fail to dispose of their waste correctly and it ends up being fly-tipped. Anyone who produces waste has a legal duty of care to take all reasonable steps to ensure their waste is disposed of in the correct way. If any fly-tipped waste is traced back to the household it came from, the householder can be fined or prosecuted. Cllr Margaret Smidowicz, lead member for regulatory services said: “People need to take responsibility for their own waste and ensure it is disposed of correctly. “It’s all part of the Council’s drive to prevent fly-tipping in the borough. Fly-tipping is a criminal offence and we will not tolerate it in Charnwood. “Fixed penalty notices mean we can fine offenders more quickly than going through the courts when the fines are sometimes of a similar amount. It’s a much speedier process. The fixed penalty notice for breaches of the ‘Duty of Care’ offence provides the Council with an alternative to prosecution in court. The cost of a fixed penalty notice is £400 but there is an early payment incentive of £280 if paid within 10 days. People are reminded to only use a registered waste carrier to dispose of their waste. This can be confirmed by checking their paperwork. If you spot any fly-tipped waste, please call the borough council on 01509 634563 or use our online reporting form www.charnwood.gov.uk/fly_tipping.